Jack Nicholson has retired from acting because his "memory isn't what it used to be." 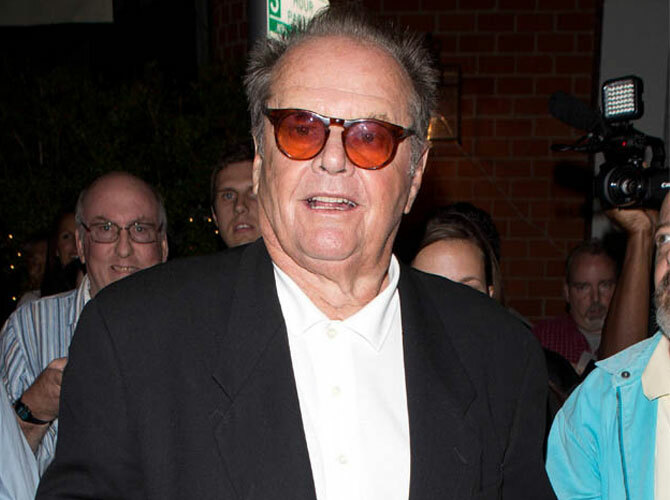 Jack Nicholson has reportedly retired from acting. The 76-year-old icon is stepping away from movies after a career spanning five decades, which has seen him appear in many iconic films including The Shining, Batman, Easy Rider and Chinatown. A Hollywood insider told RadarOnline.com: "Jack has—without fanfare—retired. "There is a simple reason behind his decision, it's memory loss. Quite frankly, at 76, Jack has memory issues and can no longer remember the lines being asked of him. His memory isn't what it used to be." Jack has previously singled out his role as The Joker in Tim Burton's 1989 version of Batman with Michael Keaton in the lead role as a personal favorite. He said: "I was particularly proud of my performance as The Joker. I considered it a piece of pop art." Jack is also philosophical about his fame, saying he believes he has "done OK"
In an interview published in Britain's Esquire magazine in June, he said: "I take responsibility for my successes as well as my failures. But when I look at my professional mistakes, I'm always left with the feeling that maybe I should have done more. These are my private musings. "I'm such a perfectionist. I always feel over-praised, or whatever. In the abstract, I know I'm a good person, a good professional. But it's nice to be noticed a little bit, ain't it?"